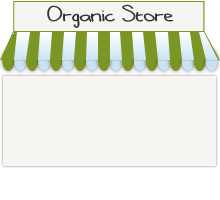 Our goal is to make eating organic affordable! GGO is, in my opinion, the best organic veggie/fruit delivery option in the Bay Area. The produce is always top notch; the price is very reasonable, and less than what you would pay at a mass grocer for the same items; and the customer service is incredible. I LOVE that they use Facebook to solicit options for the weekly menu and that they are so responsive to emails/requests. If you're using a different service, you're making a mistake. Thanks GGO for making every Tuesday Christmas! Our mission is to make organic fruits and veggies something everyone can enjoy and benefit from. To do that, each week we search high and low for produce that is in-season, local when possible, delicious, fresh, and always with no exceptions: 100% USDA certified organic.